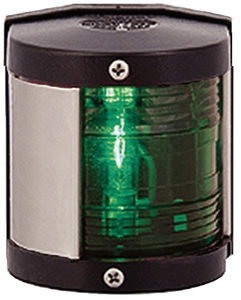 USCG approved for power & sailboats up to 39'. 1 nautical mile visibility. 12V / 10 watt. All housing parts are non-magnetic polycarbonate. 10 W festoon bulb included. Size: 2.5" x 2.9".